Slade and Raven. . Wallpaper and background images in the 틴 타이탄 커플!!!! club tagged: awww slade and raven. No she's in her suit that got all ripped up!!!!!! 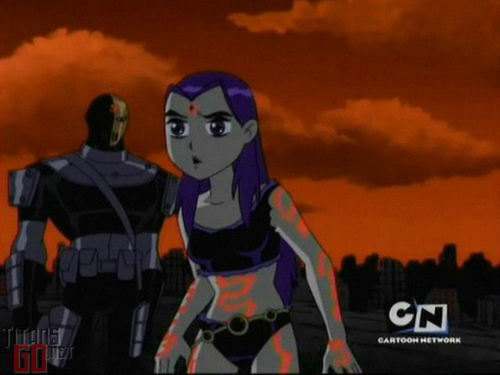 Not trying to be weird or anything, but when Slade ripped off Raven's cloak, he ripped off the part where a BRA should have been, so apparently, Raven doesn't wear bras!